Congratulations to Kimberly S., winner of the tour prize and to Mad Hoydenish, the host winner. 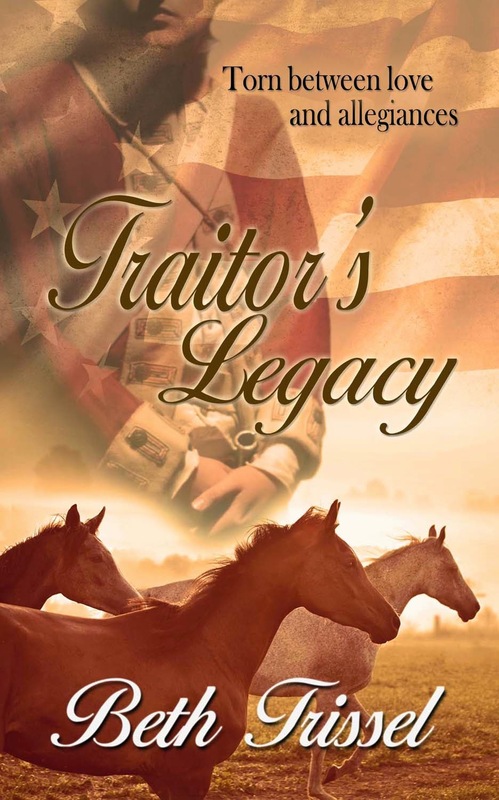 Goddess Fish Promotions is organizing a Virtual Super Book Blast Tour for Traitor's Legacy by Beth Trissel, an Historical Romance (The American Revolution) available August 13, 2014 from The Wild Rose Press. The Super Book Blast Tour will take place on Thursday, August 14, 2014 and is limited to the first 50 people who sign up. This tour will not include interviews or guest blogs; however, a blurb, excerpt and author bio will be provided to every host for inclusion on their blog. Additionally, a PDF and mobi copy of this story is available for review in conjunction with a promo post. Beth will be awarding a $35.00 Amazon gift card to a randomly drawn winner via rafflecopter during the tour, and a $10.00 Amazon gift card to a randomly drawn host. Susana's Parlour can do August 14th. I'd love to participate as long as it's ok that this is my 2nd post that day! Hope. Dreams. Life... Love at http://www.elainepcantrell.blogspot.com can host. I would love to participate at WV Stitcher http://www.kittycrochettwo.blogspot.com. I can post on August 15th. I have already scheduled another of your tours on the 13th. I can post 3 Partners in Shopping, Nana, Mommy, & Sissy, Too! I can host on August 14th. Ok, so this may be a stupid question, but my name on the rafflecopter is Kimberly S. I was curious is the winner of this contest was a different Kimberly S. or if you just haven't sent an email out to let me know that I've won? LOL. I saw Kimberly S. as the winner, so I figured I should probably ask, but I didn't know how to contact you except through comments!! ha...sorry!! Thank you! Kimberly, Yes you are the winner. The author has emailed you, but didn't get a response. Would you please email us at goddessfish@gmail.com so we can connect the two of you?